Entertaining on your small deck or patio is easy with a small patio dining set. Find a compact table that will accommodate two to four chairs for an intimate setting where you can share a meal or drinks with guests. 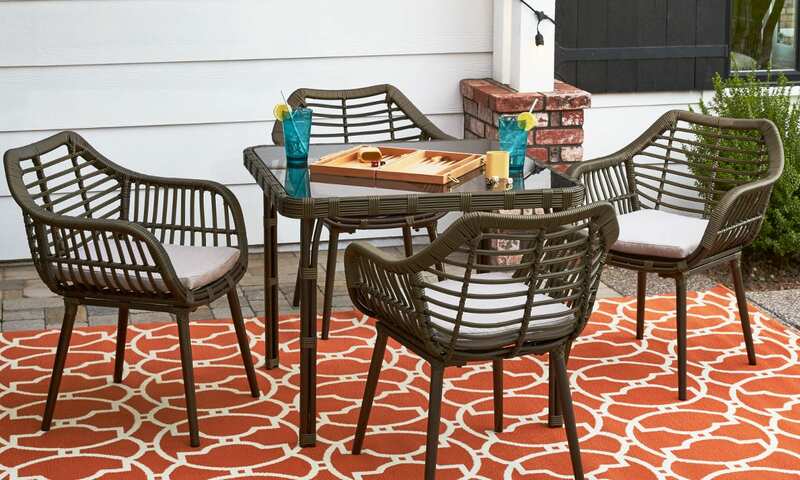 Three-piece bistro sets are usually the perfect size for patios or decks with size restrictions. Choose a set with foldable chairs for added space-saving quality. 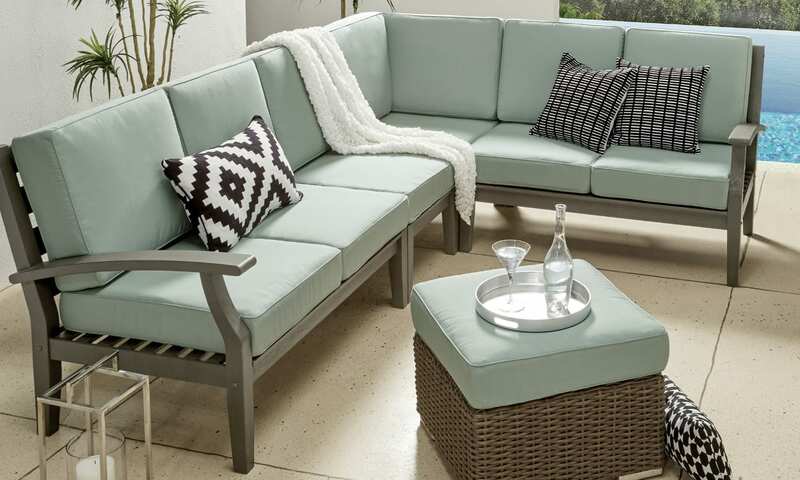 Because sofas are generally the largest piece of patio furniture, utilizing one in a small space requires some extra planning. Choosing sofas, loveseats, and sectionals with slimmer profiles or smaller designs helps save space, and placing your sofas flush against walls or in corners will free up room in the center of the seating area. If space allows, a sofa set including accent chairs, a coffee table, or ottoman will enhance the coordinated look of your furniture. Using small patio chairs is an easy way to control the size of each piece and determine exactly how much seating you want. Patio dining chairs are easy to coordinate and can be accented with matching cushions to enhance the arrangement’s style. For a more relaxed look, choose comfortable outdoor rocking chairs or Adirondack chairs that allow for maximum lounging. 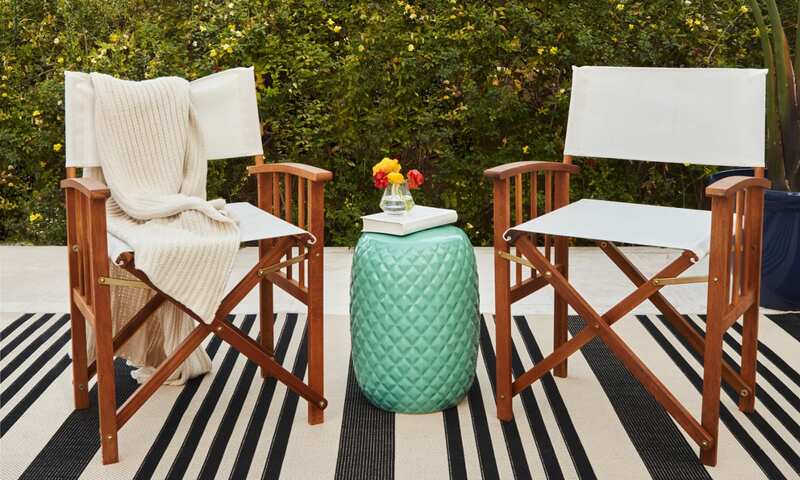 Individual patio chairs are the most versatile when it comes to arranging outdoor furniture on a small patio. Benches offer the greatest amount of seating in the smallest package, which makes them an excellent choice for decorating a small patio. Simple wood garden benches have a slim profile and classic style that makes them a perfect fit for tight spaces while metal park benches offer more of a heavy-duty design to withstand the elements. 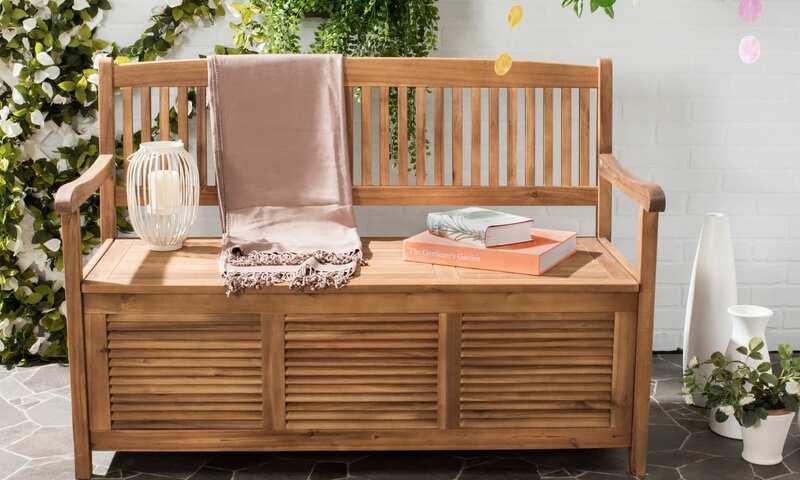 To make the most of your space, choose a storage bench that can store your patio accessories and keep your outdoor space tidy. Outdoor accent tables come in a variety of sizes and designs, so you can find an option that perfectly integrates into your arrangement. Depending on the available space, you can switch out a coffee table for one or two smaller side tables, or keep a foldable side table nearby to bring out when needed. 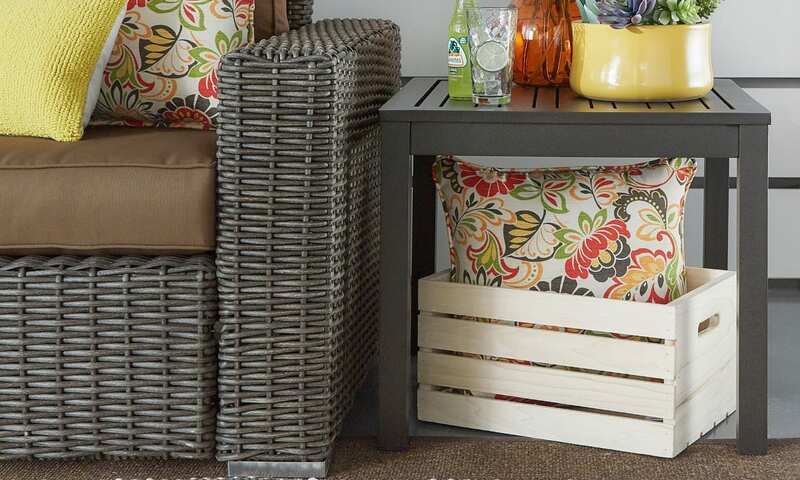 Accent tables with storage add a new dimension of functionality to a small deck or patio, and a set of nesting tables provides a way to include multiple tables in your arrangement and then combine them for easy storage. 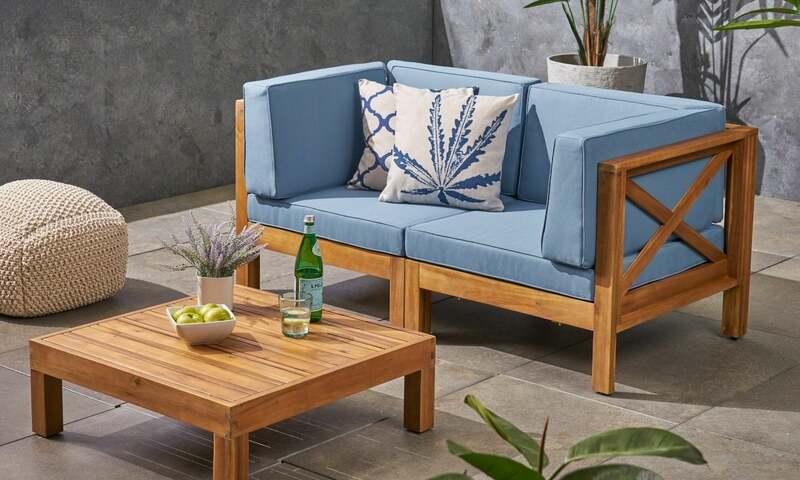 For a chart to help you decide patio furniture dimensions and choose pieces with the most seating capacity, check out The Complete Guide to Patio Furniture.